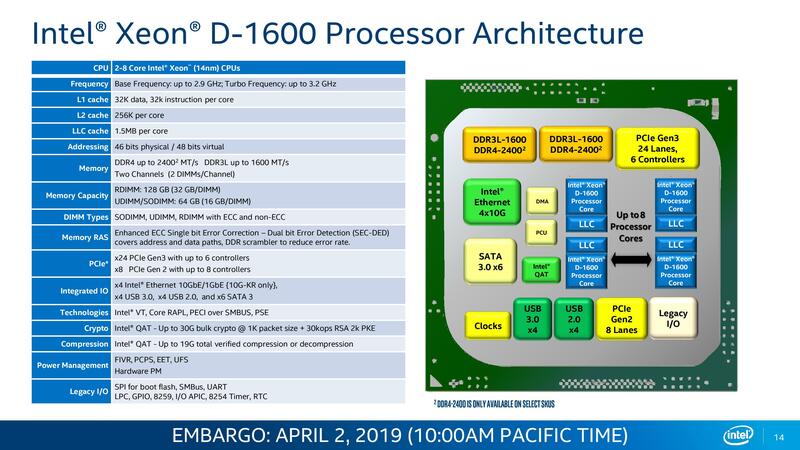 Not every chip will support every feature, but in general the higher the TDP (and the more you pay), the more features are present. Most chips in the family support DDR4-2133, except for a couple that will do DDR4-2400. 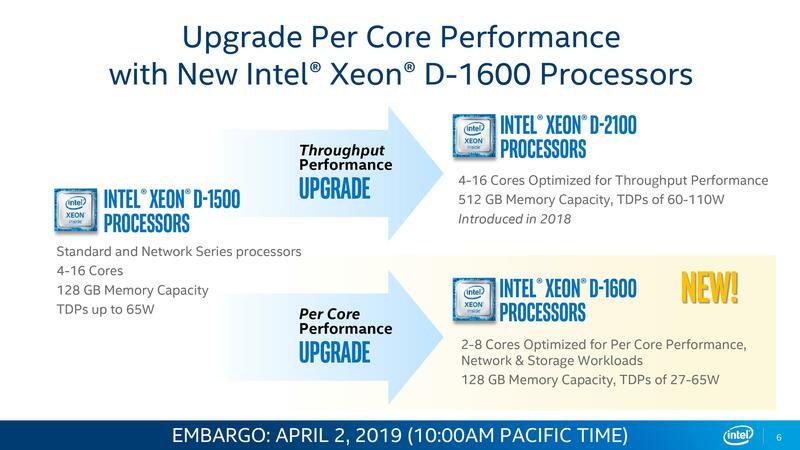 Every chip above $0 supports quad 10 gigabit Ethernet, and most of the higher-up processors support different levels of Quick-Assist Technology. TDP ranges from 27W for the cheapest dual-core processor, to 65W on the eight core part.